You may have noticed that quite a bit of my writing is inspired by art. To me, something about the two creative forms comes together really well, so an upcoming workshop with Riptide Journal editors Ginny Baily and Sally Flint seems utterly apt. 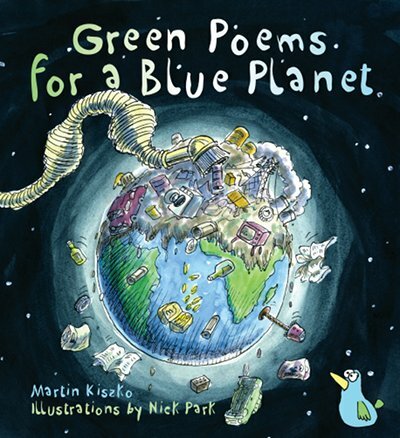 Martin Kiszko’s Green Poems for a Blue Planet offer the chance to take an irreverent, sometimes alarming, often hopeful journey through ecology. With Nick Park’s quirky illustrations and Martin Kiszko’s astute yet comedic words, this poetry book is a rare treat for adults and children alike. Martin highlights serious issues with such a deft touch that you’ll find yourself smiling even as you take on board his points about recycling and waste. 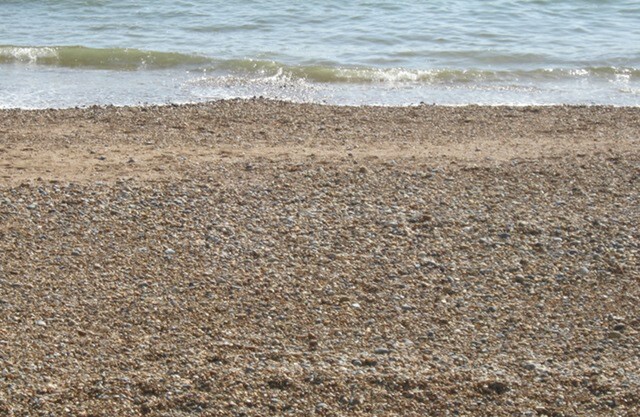 This poem by Judy Darley was originally published in Connections: An Anthology of poetry and prose from Paragram and is posted here with the editor’s permission. that no longer slotted into obvious spaces. I’m so excited to learn that Inkspill Magazine are planning to publish my short story ‘Buttonmaker’ in their next issue. which is due out later this month. Yay! 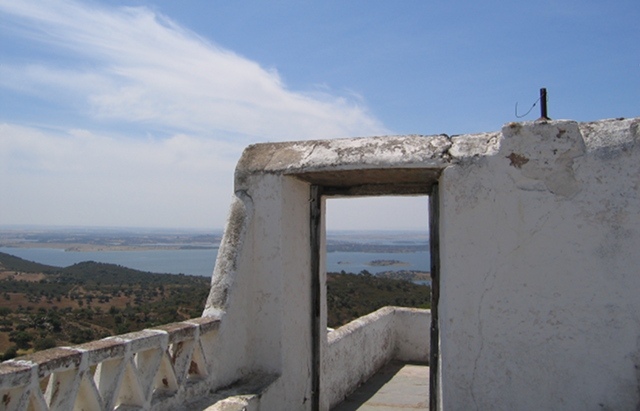 Another of my stories, ‘On The Ledge’ will be published by Fiction 365 in a couple of months’ time, following in the footsteps of my tale ‘Rock Thoughts‘. I’ll keep you posted! We meet outside the hotel after lunch, fortified and ready for our jungle walk. Marion, the Swiss girl, has only flipflops on her feet. Her ballet pumps had been so covered with bat and swiftlet guano at the Gomantong Caves that she’d had to throw them away. Joseph, our diminutive guide, arrives wearing rubber boots. “Will these be all right?” asks Marion, pointing to her feet. Joseph leads the way across a field, up a steep track. The air is heavy, sweating with heat. Plants curl and twist all around, threatening to trip us. 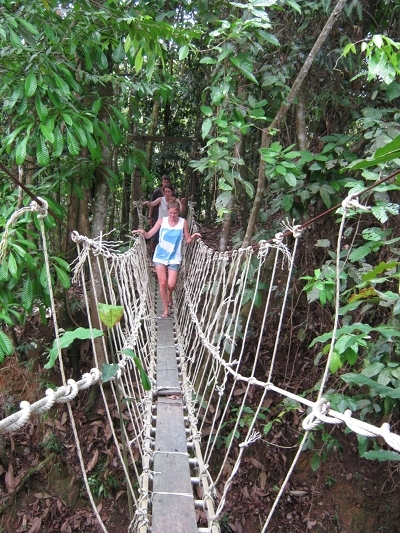 Following Joseph, resting our faith on his knowledge of this corner of Borneo, we cross an insubstantial rope-and-plank bridge over ravine that may once have held a stream. We clamber up the uneven hillside as fast as we can, trying to match Joseph’s pace. At last the lookout point comes into view and he gestures for us to climb the steps. In that moment we know it’s been worth it. Before us is spread the Kinabatangan River – a slick brown horseshoe surrounded by dense greenery where proboscis monkeys, stork-billed kingfishers, pygmy elephants live out their days. Here and there scarring can be seen in the landscape – signs of the encroaching palm oil industry’s approach. The journey back down the hill is somehow more challenging than the ascent, as we struggle through ruts of mud, never daring to look out for wildlife in case we stumble, fell. We reach the shores of the Kinabatangan, where Joseph suddenly halts, points. A vast lizard, a water monitor, slides into the river and disappears. He points again. “What can you see?” whispers Brian, from Australia. Joesph nods, smiles: “Yes, ok,” then grasps Brian’s hand sharply as he reaches forward, trying to figure out what Joseph’s spotted. 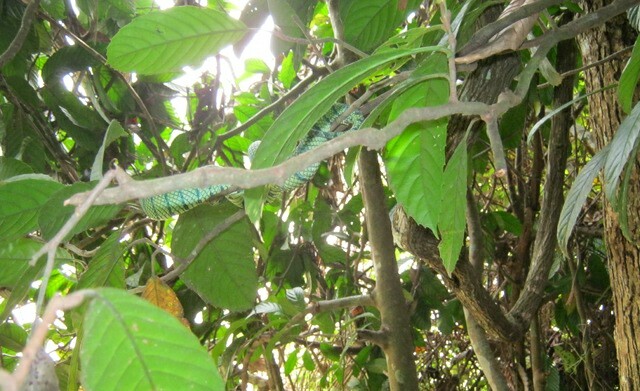 Our eyes suddenly focus, revealing the vivid green viper wrapped around a branch. Invisible as all Borneo’s creatures seem to be, until, perhaps, you’re ready to see them. A favourite artist of mine is the sculptor Barry Lewis, who takes found and junk-shop objects and transforms them into fabulous creatures, like this Hedge-elephant, which is smaller than an elephant, “in the same way a hedgehog is smaller than a hog.” Wonderful logic. This particular one could sit in your lap with ease.